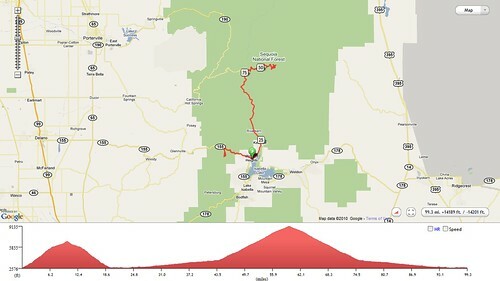 4) Sherman Pass— DONE 6/24/10!! 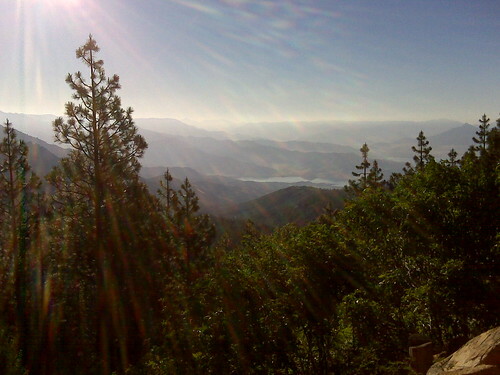 9) Mount Palomar— DONE 6/06/10!! 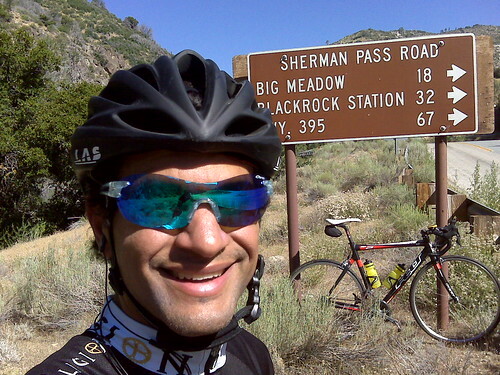 8) Sherman Pass – 5,316 feet– DONE 6/24/10!! 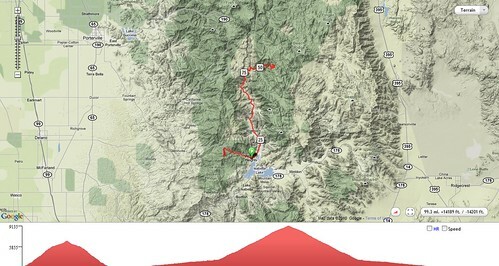 Today I climbed Shirley Meadows and Sherman Pass Road. I have now completed the Top 10 list. The challenge of completing the list kept me motivated during the weeks in between my trips. I planned, that is to say I daydreamed, and counted down the days until the next time I could escape to the mountains. I now need to find another challenge. In the meantime, let’s get on with today’s ride. The scenic beauty of today’s ride was incredible. I parked at a convenience store in Wofford Heights. I asked the store employee if it was ok for me to leave my car there while I went for a bike ride and he mumbled what I think was “sure”. Little did he know my bike rides are centuries with 11,400 feet of gain. 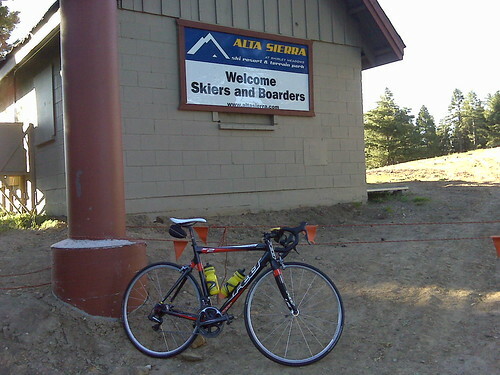 I was less than one block away from the start of the Shirley Meadows climb. 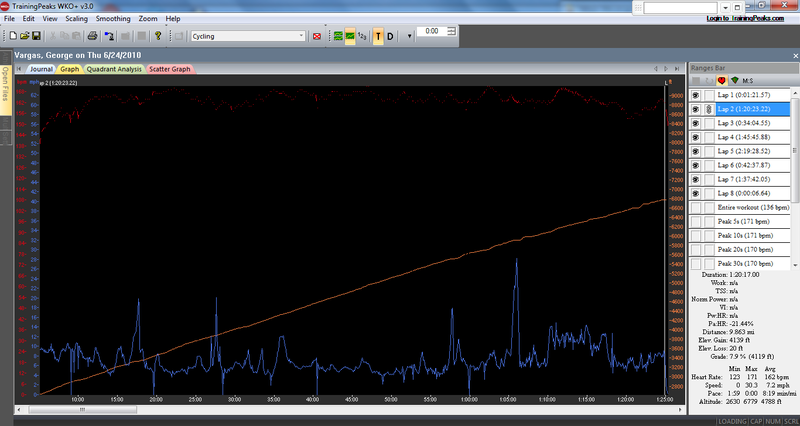 It was very convenient in one respect but then I didn’t get a decent warm-up. As soon as you make the turn onto Hwy 155 BAM! you are greeted with a double-digit pitch that shocks your legs — even if you had a proper warm-up. The climb is nothing but one steep ramp after another. This isn’t the type of climb where you sit down and settle-in to the climb. This is a stand and grind, sit and recover …rinse and repeat type of climb. I’m not kidding this is one steep climb but not all at once or in any semblance of a consistent grade like Onion Valley. 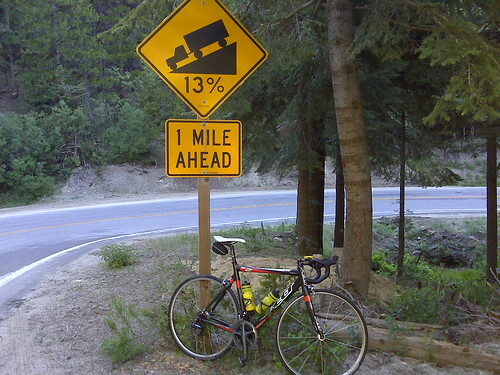 I had to take a picture of one of the caution signs when I descending– 11% for 5 miles–no wonder I was suffering so bad. I would like to consider it a stair-step climb but that doesn’t describe it well enough either because there are only a couple of reliefs. 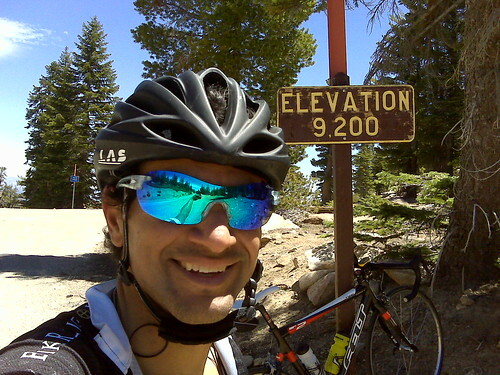 The climb is only 10 miles but it takes your legs and trashes them in just that short of a distance. My Felt F2 with Di2 was plenty stiff on the steep grades and the Di2 shifted FLAWLESSLY!! What are the redeemable qualities for all this pain and suffering? The views! The views are spectacular. The road is in pretty good shape. So you can relax and look around when you’re not gripping your drop bars and pulling on them for dear life to turn the pedals over One.More.Time. 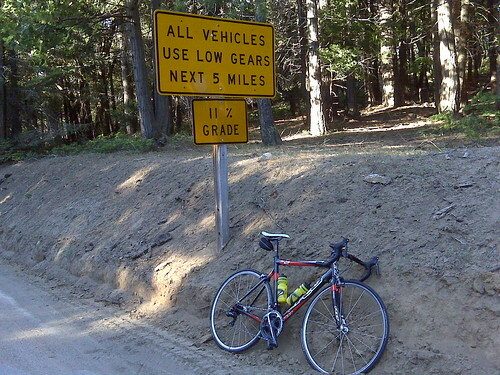 I was riding my 2010 Felt F2 with Di2 with a 53/39 crankset and a 12/27 cassette because John had given me a heads-up about the steep grades on this climb. The 11/23 cassette I rode in the first edition of the 10 toughest climbs in California would have been a mistake today. The sharp hairpin turns lead you from one picturesque wooded area to another. And while the scenery is great on the way up, the descent is nothing short of breathtaking. It is straight out of a European tourist magazine. 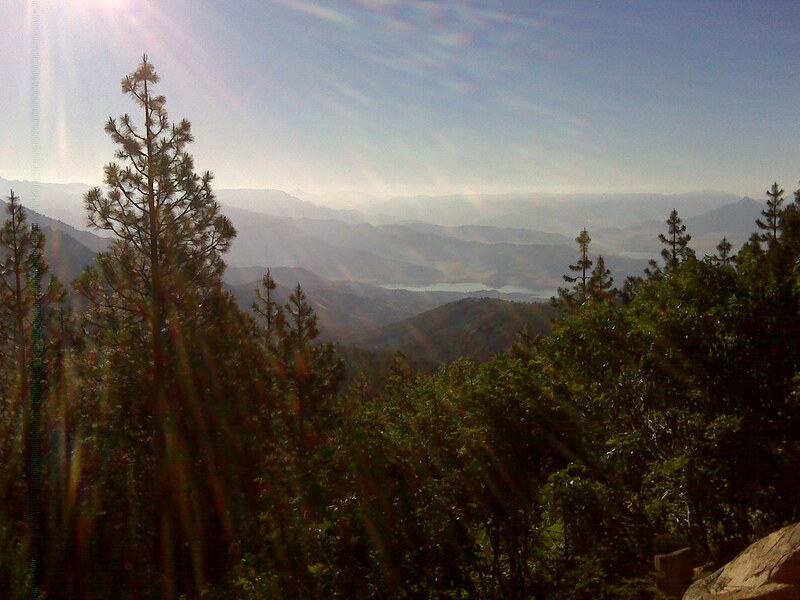 You descend with Lake Isabella down below and mountains and more mountains over-laying over each other as a backdrop. I imagined this is what it must look like when descending into Lake Como in Switzerland. My words just can’t do it justice– simply perfect postcard material at every turn! Taken with my Blackberry phone–Like a bonehead I forgot my camera battery at home my Blackberry just didn’t capture it as I saw it live! I refueled at my car and then started the 24ish miles to Sherman Pass Road. I didn’t realize what a slog it would be. 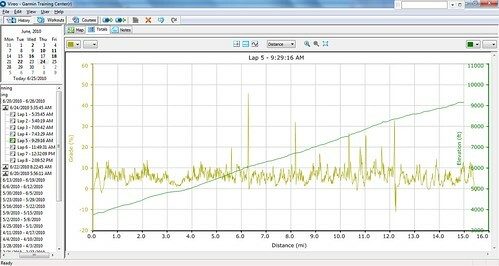 There are pesky little rollers while you keep a 1-2% grade for 24 miles into a light headwind. But once again you are rewarded with spectacular views. You ride along the Kern river. The water is rushing and you see it crashing and splashing on the rocks. Then you look up and see cabins on the hillsides way off in the distance. I tried to imagine how beautiful this place would look like with snow. The views are postcard material yet again. I was worried that I wasn’t going to have enough fluids for the 24 mile stretch AND the 15 mile Sherman Pass climb. But 19.5 miles from Wofford Heights there was a small store in Fairview with a spigot outside. I topped off and shortly thereafter I made the right turn onto Sherman Pass Road. Notice the climbing that begins at mile 20 and continues until you summit Sherman Pass Road at mile 60!! I didn’t find the climb difficult. The grades were consistent and the views were excellent. It was just LOONG! 15 plus miles. Funny story– about 1 mile into the climb I see a lot of cow patties. I said to myself where would the cows come from and why would they be hanging out on THIS road. About a mile later I see about 20 cows and calves grazing on the side of the road. When they spotted me they were startled but stayed put. As I got closer they started running up the mountain first at light trot then a full-on gallop. I kept thinking where the heck are they going? I didn’t see any place they could call home. But then, seemingly out of nowhere, there is a very narrow road and a gate. It was pretty comical seeing all the cows fighting to get through the gate. The climb took me to 9200 feet and a clearing with an incredible vista. It was well worth all my effort. I didn’t like the descent only because the road was tore up in many places, there were sand patches and loose rock everywhere. The return leg back to Wofford Heights was really tough. 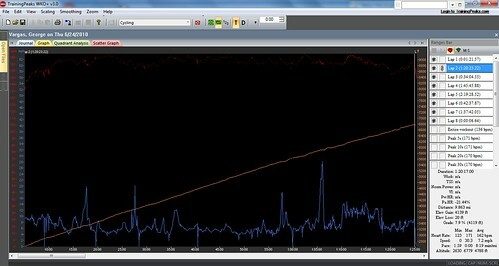 Even though I was generally going downhill I was riding into a headwind. 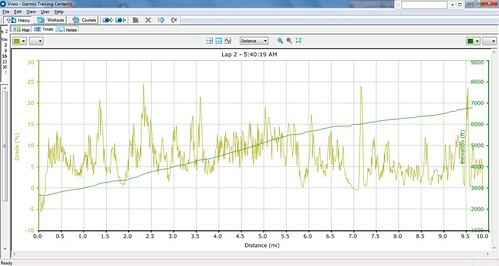 Yep pedaling downhill to maintain 15 mph. How do you like that? I eventually made it back but I was so frustrated. 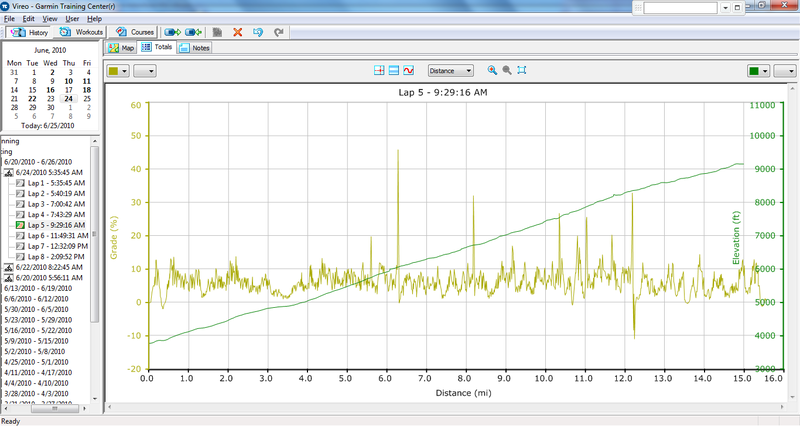 I had climbed that same section of road into a headwind and now I was descending it into a headwind. In the very near future I will post my opinion about each of the 10 climbs on this list. But for now I would like to say that today’s ride was the most scenic. When taking into consideration its the sheer beauty, its leg sapping climbs and the scarcity of cars and people on the road, I say the Shirley Meadows and Sherman Pass century I did today wins hands down! 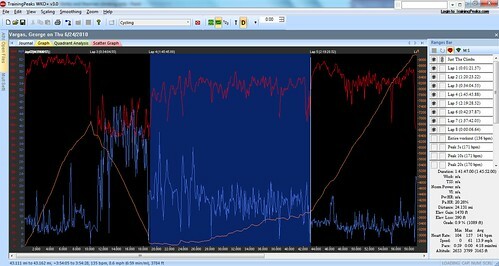 This entry was posted in California's Toughest Climbs, climbing, climbing centuries by REV Cycling Directeur Sportif. Bookmark the permalink. Reading George’s description of the climb of Shirley Meadows brings a smile (as I am stuck in the office many miles away) and a bit of pain as I think back to the climb. It really is a difficult and superb ascent with tight turns and steep ramps over the lower 7 miles. I liked the mellow final miles as a way to collect thoughts (and recover). 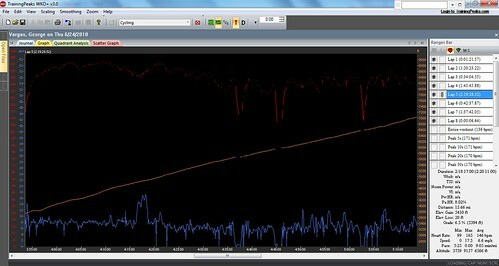 Similar statistically to the Plateau de Beille in France it is has hard a climb as the top pros race each year. Little traffic and as George mentions the descent is a challenge but with great views. Kudos to the amount of climbing he has done as well as I spaced those monster climbs out. Thank you for reading my blog. It’s an honor that you would come to my blog and even leave a comment. Actually out of all the climbs on that top ten list I enjoyed the scenery and difficulty of the “The Shirley Meadows Sherman Pass Century”. The quaint little town of Whofford Heights and the uphill trip along the Kern River to the foot of Sherman Pass was so dramatically different than the Eastern Sierra climbs. This area seemed lush with green vegetation and trees and rushing rivers. Amazing and I can’t wait to go back.